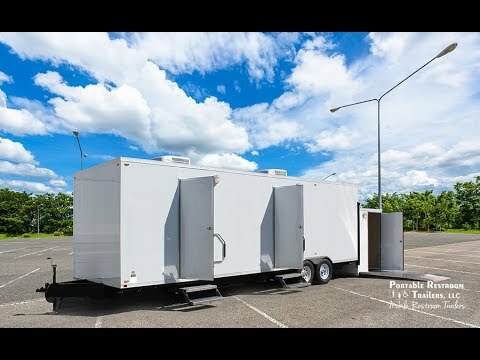 ADA Portable Restrooms Trailer +10 Station | Oahu Series features a clean and efficient interior design complete with coordinating accents! This unit is specifically designed to accommodate the needs of disabled users and can also be utilized as a family suite by those caring for small children or older adults that need special assistance. This trailer is upgraded to include a hot water hand wash for your guests and a heater in each room including the utility room. Download a 1 page PDF Product Description for the ADA Restroom Trailer +10 Station | Oahu Series from Portable Restroom Trailers, LLC.